Finally, the barrier was lifted as the two countries signed an agreement to be ratified for the avoidance of double taxation. Double taxation is perhaps the most vivid example of a barrier in international relations and economic cooperation, arguably, an unfortunate remnant of the past. Cyprus and Spain signed on 14 February 2013 an agreement to be ratified for the avoidance of double taxation. The new agreement is the result of strong governmental resolution to seal the cooperation bond between the two countries. 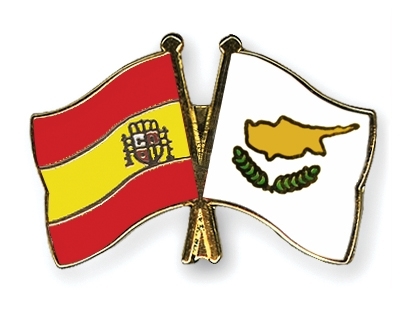 The agreement was signed at a ceremony held at the residence of Spain’s Ambassador in Nicosia, Ana Salomon Perez and during the addresses of the representatives of the two countries one could certainly realize that we are entering a new era of cooperation, trade and investment between the two countries. LLPO has a long-standing cooperation with professionals and investors in all major cities in Spain. We literally witnessed the 2006 policy of the Spanish Authorities to reject any private commercial utilization of the structures of the two countries in a single transaction and a unified tax treatment. Even after the amendment of this irrational policy and Cyprus reinstatement from such treatment, back in 2009 we dealt with the commercial difficulties investors and traders faced in attempting to enter into transactions resulting in the moving of funds or services form one country to the other, whereby to benefit from Spain's participation exemption regime, the taxpayer ought to have been able to demonstrate that there were valid economic and business reasons for operating through a Cypriot company. As Spain’s Ambassador in Nicosia stated this important new agreement "…will certainly facilitate investments from Spain to Cyprus and from Cyprus to Spain and strengthen economic relations between our two countries". As she noted "the Spanish authorities showed a considerable amount of flexibility in order to reach an agreement", expressing the gratitude of the Spanish government particularly of the Minister of Finance and the Minister of Foreign Affairs who made major efforts to complete all necessary domestic procedures so that the signatures could take place before the term in office of Minister of Finance Vassos Sharly and the current government came to an end. The Cypriot Finance Minister Mr. Vassos Sharly on his part said that "what you need is a commitment that you believe in what you are doing and everything else falls into place". He said that double tax agreements do not progress simply because you have commitment but you need a partner and in this context "we had a very good partner to work with. We did it and we are doing a lot but we need friends and in Spain we have a very good friends which we always believe in and I hope that this relationship will develop from a double tax agreement at the moment to become a great strength in the relationship between us", he noted. LLPO consistent in our pledge to exceed our clients’ expectations, all these years we maintained very close cooperation with Spanish professionals and upgraded our professional network. That’s why LLPO has an extra reason to welcome this long awaited development. Cyprus and Spain may now share each other’s incentives and resources in order to afford traders and investors the freedom to utilize the advantages of each country’s opportunities, without having the concern of the imposition of double taxation. LLPO and its expert network are ready to facilitate investors’ and clients’ decisions. , ¿Vamos? Find more information on our Cyprus Tax website.